The Operations Bureau includes Fire Suppression, Emergency Medical Care and Rescue Services. Our Emergency Medical Services include Advanced Life Support (ALS) Mobile Intensive Care Units, staffed with a minimum of one paramedic, and often times two paramedics. Our paramedics and emergency medical technicians receive proper training and licensing through Illinois Department of Public Health approve programs. 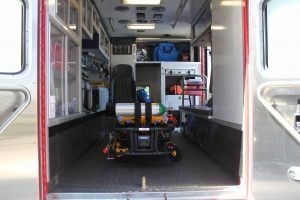 The Fire District maintains two front line ALS equipped ambulances and a third reserve ambulance that can be staffed when necessary. Each paramedic and emergency medical technician receives their training through various hospitals and community colleges. All education received by our staff is approved by the Illinois Department of Public Health. Minooka Fire District belongs to the Morris Hospital Emergency Medical System with Morris Hospital serving as our supervising hospital and providing our project Medical Director and Emergency Medical Coordinator. Minooka Fire Protection District is strict about maintaining the privacy of patients. We comply with the Health Insurance Portability and Accountability Act (HIPAA). We cannot release any information regarding patient care except under the provisions of HIPAA. Information will be released to the patient, legal guardian of minors, legal documentation authorizing the release to a certain person(s), authorization through court orders, and other provisions of HIPAA. We appreciate your cooperation as we work to protect everyone’s privacy. Minooka Fire Protection District directly bills the patient’s insurance company, Medicare, and/or Medicaid when we provide medical service. Residents of the Fire Protection District are not billed for any remaining balance following insurance payments. As a resident, if you received a bill, please contact our billing company at 1-800-244-2345 Monday through Friday, 8am-4pm. 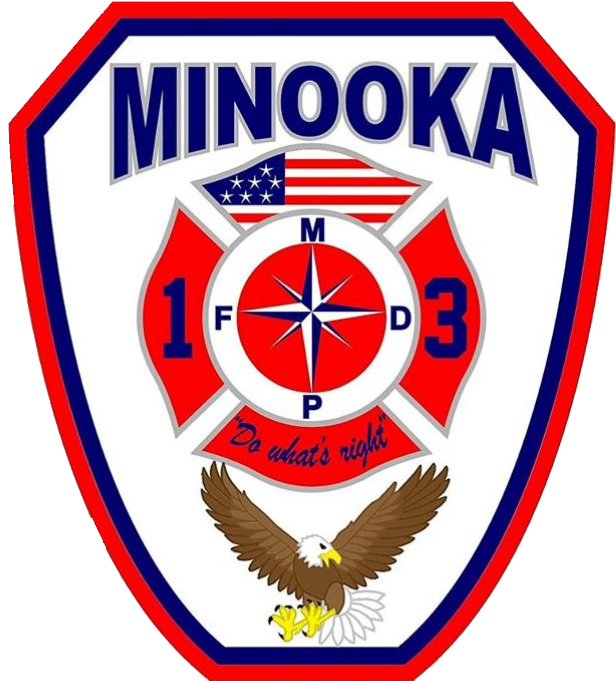 Residents who are paid directly by their insurance company for the ambulance/medical service provide should remit payment for the service to: Minooka Fire Protection District, P.O. Box 736, Minooka, IL 60447. Please reference the date of service. 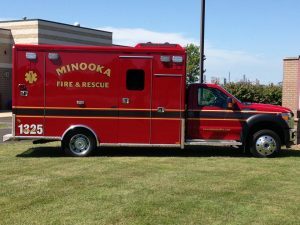 Minooka Fire Protection District provides emergency medical ambulance service. Because our ambulances are requested for emergency situation the Illinois Department of Public Health requires transportation of patients to the nearest facility unless the emergency medical system authorizes a by-pass. It is rare that a by-pass is granted in an emergency situation. Minooka Fire Protection District primarily transports to Morris Hospital in Morris Illinois. In addition due to the geographic size of our Fire District and location of the call, we do on occasion transport patients to Presence St. Joseph Medical Center in Joliet, Illinois. Sometimes, due to the critical status of patients, a helicopter will be requested to the scene of a vehicle crash or to a designated landing zone for specialized medical patients. In these specialized situations the helicopter medical staff will make a determination of the transport. Traumatic injury patients will be air evacuated to the nearest level one trauma center where the highest level of care is possible. Specialized patients will be transported to the nearest facility capable of providing specialized care. Helicopters are requested only by our on-scene medical supervisor and incident commander once the patient has been assessed.